Music is a very important component for Minecraft and without it you will get bored very quickly. Today's original collection of tracks in MCPE is a monotonous and soothing means during a simple measured survival and also there is more aggressive and dynamic music for battles with bosses for example. 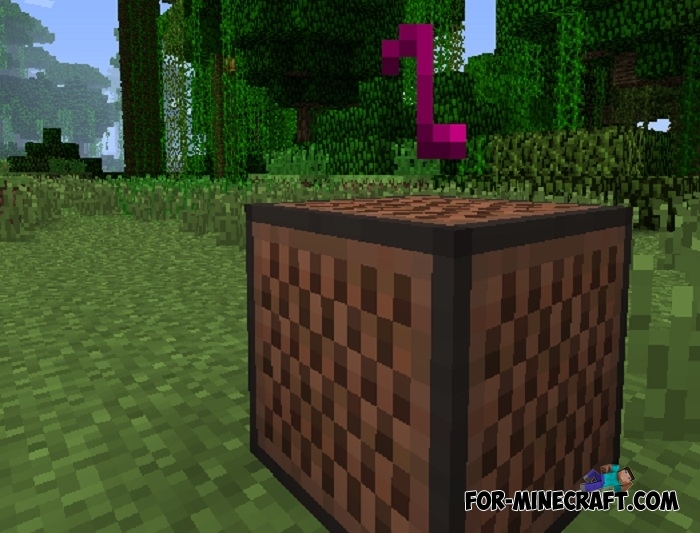 Using Music Plus you can make more detailed settings for the background music in Minecraft PE. Now the music will play without stopping, one track after another. In addition, the game will get different music packs that can be turned on or off in the settings you want. Default, old or tracks from the last generation can be selected by you. Try each one in turn and stop on the one that most suits you. Playing without a background music is much more boring than you think..
How to install Music+ addon?